I've recently completed my collection of all ten volumes of Essential Amazing Spider-Man and as a result I'm in the process of reading two decades of Amazing Spider-Man back to back. 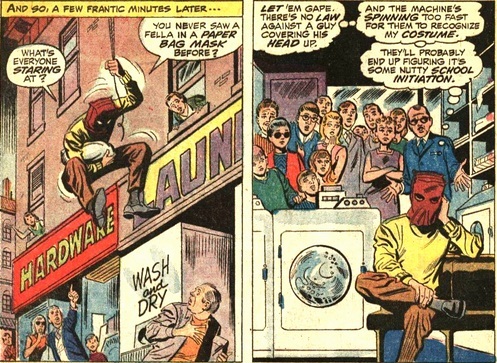 I'm currently immersed in the Stan Lee/John Romita era (1966-1971) and it's really reminding me of why I fell in love with the character as a child. Although I'm an '80s child, this era was what got me into Spider-Man! School and church summer fetes were one of the major factors in me becoming a Spider-Man fan as a child. These fetes would be an annual highlight for me because I could virtually guarantee that there would be at least one old '70s Spider-Man hard-cover annual on sale that reprinted some classic Spidey stories. One of these annuals stands out in my brain as particularly memorable. It featured a reprint of Amazing Spider-Man # 48-49 (1967) in which Adrian Toomes apparently dies and another criminal named Blackie Drago steals his wings to become the new Vulture. I remember being disappointed years later when I found out that Blackie had made one more appearance and then disappeared forever. My dad also owned a battered issue from the Lee/Romita era that I read over and over again until the cover fell off. 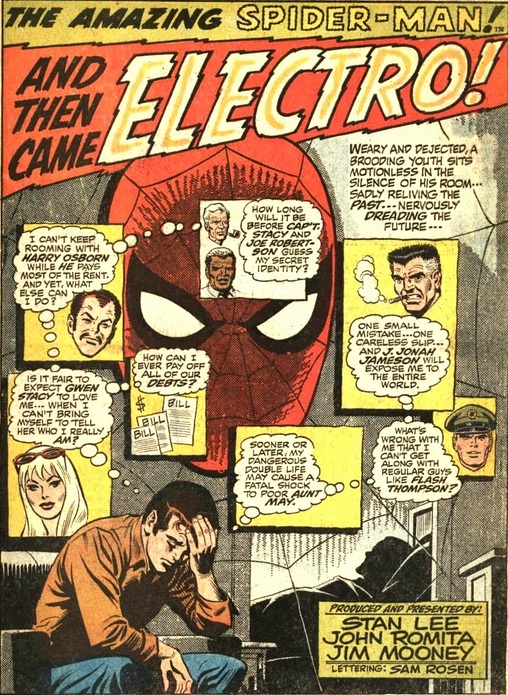 Amazing Spider-Man #82 (1970), which featured Spider-Man appearing on a chat show to earn some money, before being beaten up by Electro. It's become a bit of a cliche to talk about how Spidey stands out from other heroes because of his 'real world' problems, but like most cliches, it's true! In the aforementioned Vulture story Spidey gets his arse kicked because he's got a cold! As a child I'd never seen a super-hero fall ill before. And he wasn't suffering from some alien super virus, he was suffering from a common cold. As for the Electro story, well, not only was Spidey pimping himself out to a TV station to get some extra cash, but at one point in the story he has to put a bag on his head to go and clean his costume in a laundrette. 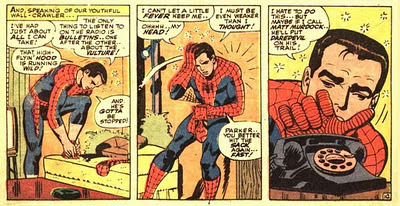 The issue ends with Spidey collapsing in an exhausted heap on his bed. Nursing his burnt hands he says to himself "If this is a victory... I'd hate to be defeated." Even as a kid I realised this was miles away from Superman or Batman, but I didn't realise quite how different it was. I remember asking my dad if he had the next issue, where I assumed Spidey would pick himself up, solve his problems and win a decisive victory over Electro. I didn't realise that there was no second part to this story, this was Peter Parker's life! Even when he won he didn't really win. It's a real treat to re-read these issues, and others from the same era, in the Essential volumes. One thing that strikes me as I re-read them is that, despite the odd reference to Woody Allen or the Vietnam War, these stories are timeless. After all, money woes, girl trouble, crazy costumes and extreme guilt never go out of fashion. You could give these comics to kids now and I honestly think that they'd like them just as much as kids in the '60s did, and certainly just as much as I did in the '80s. Even the weird 'groovy' slang that Stan put in the mouths of all of his teenage characters doesn't really distract that much. As a child I just assumed that was how teenagers talked.